Most people consider their dog an important part of the family. They want their friend to be well cared for, loved and healthy. Part of this is ensuring you take your dog to loving dog groomers. It is important to make certain the needs of your dog are fulfilled such as having their nails trimmed or giving them a bath. 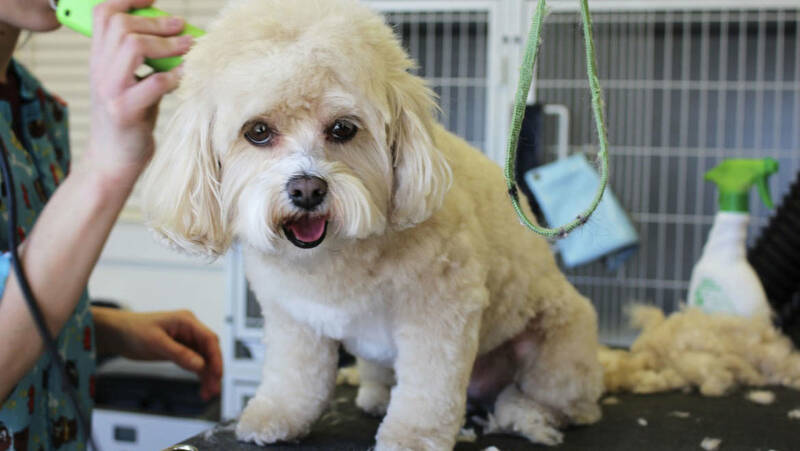 There are ways you can prepare your dog for a calm and enjoyable visit to the groomers. When a groomer handles your pet, the experience should be enjoyable. Although your pet is restrained, they are petted and held. Dog grooming Los Angeles understands even if your dog is a bit unsocialized, they can be taught how to tolerate being handled and groomed. Whenever possible, the best time to start is when your dog is still a puppy. It is more difficult to handle a fully grown dog, especially if they have had a negative experience. One of the worst mistakes you can make is to try to match wills with you dog with the belief you must be dominant. Once a dog has had a negative experience with nail clippers, a brush or a comb, they will never forget it. Handling and grooming your dog will only continue to become more difficult. The best dog groomers in town create the expectation of being petted and rubbed for your dog. This helps them tolerate being groomed without any aggressiveness or fear. Some pets will let you comb or lightly brush them on their shoulders and neck but not their back legs or hindquarters. In this instance, you should offer them an irresistible treat while you are brushing the difficult areas. This is often more effective if one person provides the tidbits and the other does the actual grooming. Start by moving your brush a little closer to the back legs than your dog will normally tolerate. The other person should place the treat under their nose at the same time. It is best to place the treats on the flat of your palm instead of feeding them using your fingers. For some pets, it works best if the tidbits are placed on the floor. Keep practicing with you dog in brief sessions while continually working your way closer to any area your dog has an issue with. You are teaching your dog that being touched and held is an enjoyable experience. It can be difficult to brush your dog’s teeth or give them a pill. Since your pet likes treats, start by opening their mouth and giving them a treat you know they enjoy. This will help your dog remain calmer when you have to give them medication. The first step in teaching them to tolerate having their teeth brushed is lightly running your finger over their teeth. If your dog panics when you try to trim their nails, their behavior can be both unpleasant and dangerous. Teaching your puppy to tolerate having their feet touched when they are small is highly recommended. This will help them tolerate having their nails trimmed. You may have to start by simply picking up your dog’s paw with one hand while offering them a treat with the other. You want to keep repeating this exercise until your dog is not struggling or anxious and is waiting for their treat. The next step is to gently squeeze or hold their paw while offering them their treat. This may help you pet acclimate to the way the clippers feel against their nails. Next, take your clippers and gently tap each nail. Give your dog a treat after each tap. You may have to begin with one foot or even just one nail each time you practice. 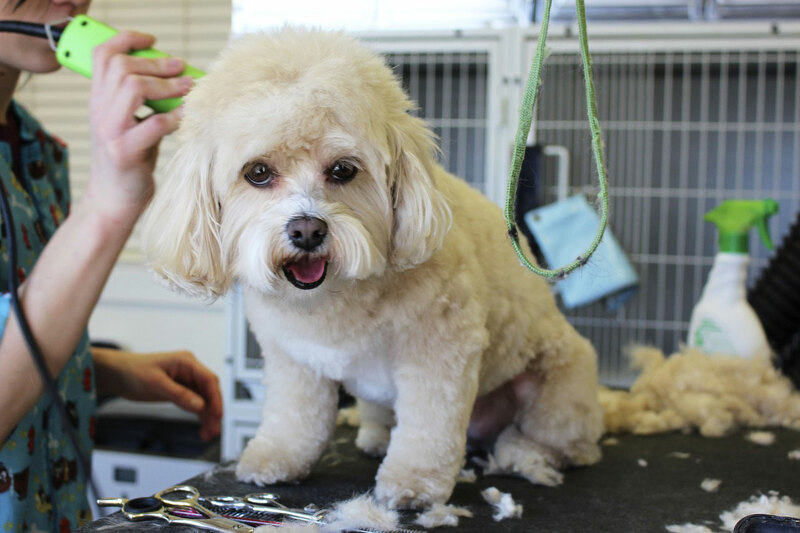 Dog grooming Los Angeles recommends short sessions to prevent your dog from getting frustrated or tired. Prior to trying to clip any nails, tap all the nails on each paw. Once you have tapped a nail, clip off the sharp tip quickly, let go of their paw and give them a treat. Repeat the same process for every nail. It may take you ten or twelve sessions to trim every nail. Your dog may get upset when they see the nail clippers if they ever had a negative experience. Keep practicing with the clippers and do not put them away when you have finished. The best approach is a combination of clippers and treats. If this is the first time you have clipped nails, ask your loving dog groomers or veterinarian to show you the procedure. This will prevent you from accidently hurting your dog. It is important to remember grooming procedures and trimming nails are never emergencies. You should never let anyone punish your pet or hold them down to complete these procedures. Treats should also be part of the process and not just a reward once it is completed. Practicing handling and grooming your dog several times each week will put your dog more at ease. If your dog hardly ever sees a toothbrush, comb or brush, they will not become familiar with them. A lot of pet owners make a mistake because they do not brush their pets until the fur has tangled and matted and this is not often enough. This also ensures the session will be more unpleasant and difficult. Taking your puppy to the best dog groomers in town will help them get used to the procedures, the staff and the facility. The visits should be pleasant and brief as opposed to a full grooming. The more time you spend on body care procedures and handling your dog, the greater the reward will be as time passes. Imagine how easy it would be to take a thorn out of your dog’s paw if they are still and relaxed. Neither you or your dog will have any fun if handling them is always a wrestling match. You can eliminate this unpleasantness simply by working with them regularly.